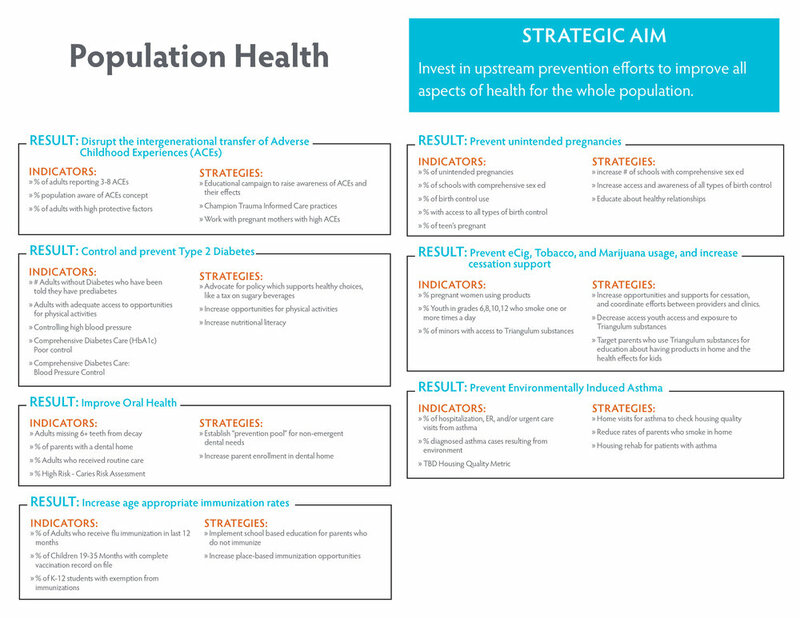 Our goal: Invest in upstream efforts to improve all aspects of health for the whole population. Prevent Adverse Childhood Experiences and mitigate the associated negative health outcomes. Currently the group is in the process of prioritizing the metrics we would use to measure successful intervention in these areas. If you are interested in getting involved please email hadley@betterhealthtogether.org. All are welcome!